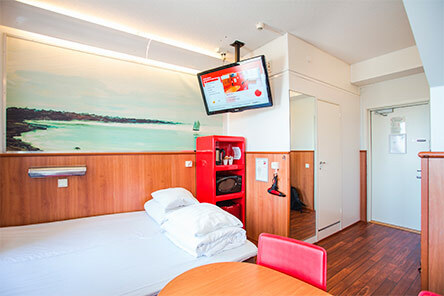 The Vaasa hotel is located in the city centre, near the railway station. All of the services you need, like shops, cafés, restaurants and bars, are located just a short walk away. For example, you can visit the Rewell Center shopping centre or market square, which are located just a stone’s throw away from the hotel. 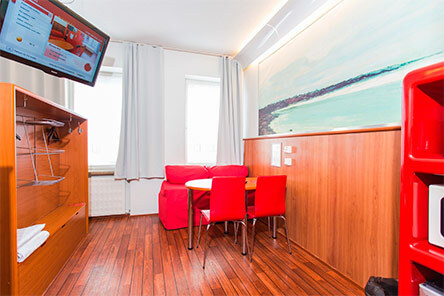 Whether you are in Vaasa on business or vacation, you can enjoy the hotel’s amazing location in the heart of the city. It is easy to get to the city’s most important sights from the hotel, like the Raippaluoto bridge, Vaasa’s orthodox church and many more. There are also conveniently located parking spaces and transit. Café Solo serves breakfast for Omena Hotel guests at the price of 6.90€/person when booked in advance. Normal price 8,50€/person. 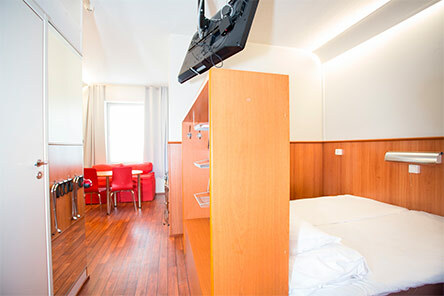 The cafeteria is located at Asemakatu 1 in the premises of the railway station near the hotel. The breakfast includes a roll (ham/cheese), juice, coffee/tea and yoghurt. Breakfast is served Mon-Fri 6.30–10.00 (July 8.00-10.00) and Sat-Sun 9.00–11.00 (no breakfast on public holidays).